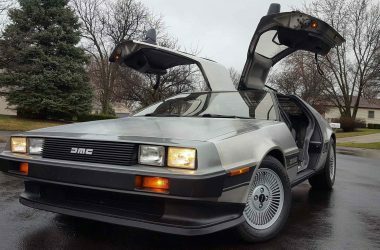 06739 8/15/2017 2:00:24 https://www.deloreandirectory.com/deloreans/vin06739 1981 NOV 81 Buxton Plaza Indiana USA Stainless Steel Custom Manual Twin IHI RHB5 turbos manufactured by Tom Dieckhoff of Turbo Manifold Co. in Wheatley Heights, NY, new throttle body and exhaust manifolds and mufflers. 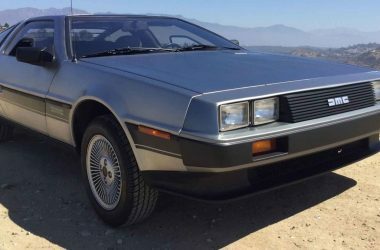 37,594 Excellent Grey Excellent New stereo Wide Black No Grooved No Front-Right No Unknown Silver Garaged / inside - Website CarsForSale.com Unknown Unknown Excellent 08/15/2017 1981 DeLorean DMC-12 twin-turbo coupe (VIN: SCEDT26T7BD006739), SS304 brushed stainless steel with light grey leather interior, 37,600 indicated original miles and the desireable 5-spd. manual transmission. 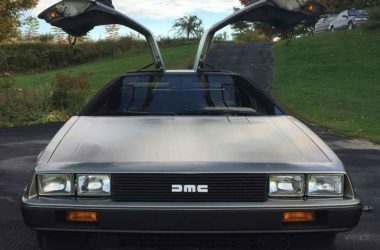 Many cars are known from starring roles on TV or in the movies - but few are as well-known as the DeLorean DMC-12 - the car that took Michael J. Fox "Back to the Future" in 3 feature films. Built from 1981-1982, the DMC-12 was the brainchild of former GM executive John Z. 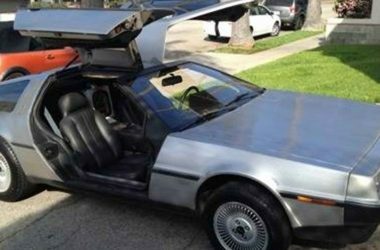 De Lorean. It was styled by Italian stylist Giorgetto Giugiaro and the chassis was suspension engineered by Colin Chapman, founder and owner of Lotus Cars. About 9,200 DMC-12s were produced between January 1981 and December 1982. 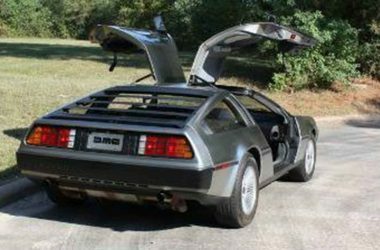 In 2007, about 6,500 DeLorean Motor cars were believed still to exist. This vehicle has a clean CarFax report and has known ownership from 10/22/1991. It is a 3-owner car (the last two owners were physicians, both located in the midwest - Ohio and Indiana). This vehicle was driven sparingly by the most recent owner, and registered for road use every year since 06/20/1998 - the most recent registration renewal was 10/17/2016. Wanting for more power sometime in 1987, the second owner installed a twin-turbo kit manufactured by Tom Dieckhoff of Turbo Manifold Co. in Wheatley Heights, NY. Twin IHI RHB5 turbos, a new throttle body and exhaust manifolds and mufflers, and a list of other parts breathed new life into the underpowered factory Peugeot-Renault-Volvo sourced 2.85L V6. The kit is exceptionally well made and is integrated so well into the engine bay it could easily have been factory designed and installed. 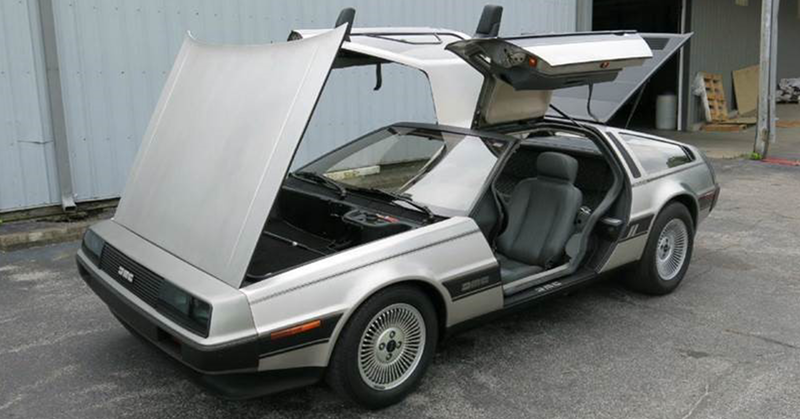 This DeLorean just received a complete inspection and service at a cost of over $6,000.00., incl. flush of all fluids and change of all filters, fuel pump relay, complete brake system refurbishment incl. new master cylinder and brake lines, new calipers, new pads and machined rotors. The updated stainless steel coolant reservoir was installed, as well a new water pump and all gaskets for the intake manifold. A fuel system treatment was added to clean injectors, valves, throttle body and intake manifold. New hood and passenger door struts were also installed at this time. It runs and drives very well and the body and interior are in excellent condition, with no signs of accident damage or repair.